James McClean has been disciplined by Stoke after he called a section of the club's fans "uneducated cavemen". McClean's post on Instagram came after he was verbally abused by some home supporters during the Championship clash with Middlesbrough last weekend over his refusal to wear a Remembrance Day poppy on his shirt. A statement on the Stoke website read: "Stoke City's investigation into James McClean's social media post following last Saturday's game against Middlesbrough has concluded and the player has been dealt with under the terms of the club's disciplinary procedure." In a statement of his own to Stoke supporters, McClean, an Irish Catholic who has faced persistent abuse for his poppy stance, gave a qualified apology. 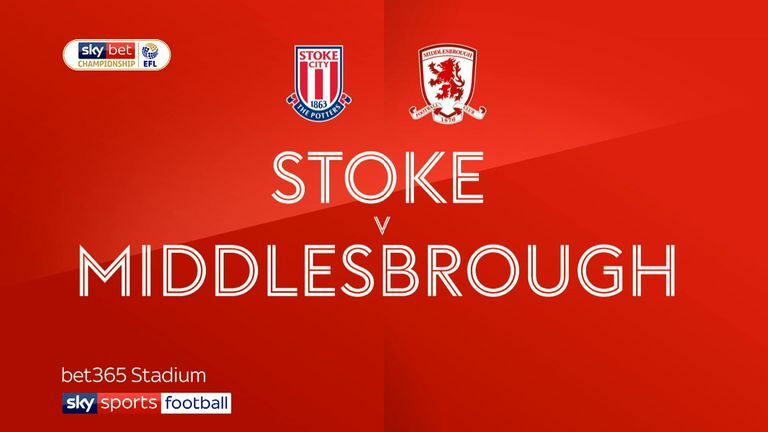 Highlights of the Sky Bet Championship match between Stoke and Middlesbrough. He said: "At last Saturday's game a section of our supporters threatened and abused me because of my religious beliefs and upbringing. "I am certain that no fair-minded person would regard that as acceptable but I recognise that as a professional footballer, and therefore a role model, I'm expected to tolerate it. "Whilst I do not believe it is appropriate for me to apologise to those fans who abused me, I do want to whole-heartedly apologise to the vast majority of Stoke City fans who, although they may have different views to myself, are decent and respectful. "I sincerely apologise for any offence that I caused them with my comments and posting on Instagram." Speaking about McClean's comments at a press conference on Thursday, Stoke boss Gary Rowett told reporters: "I spoke to James about it. I think his reaction was out of frustration but criticising the minority of our fans isn't the way to go and we can't condone that. "But when you understand the background to his beliefs and you see that his family have been sent death threats, his wife and kids have had abuse constantly and you see he's been sent things in the post, you can understand why he reacts; he's only human."